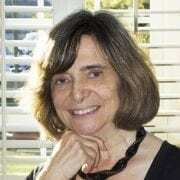 As a graduate student in the 1980s, I was fortunate to study with the eminent scholar, Carol Gilligan, whose work focused on girls’ and women’s development. One key concept from her research that continues to fascinate me is how many girls lose their voices in early adolescence and then must re-learn to speak out in adulthood. Now, we also understand that those who feel disenfranchised because of race, ethnicity, religion, sexual orientation or non-conforming gender identity often struggle to be heard too. I gravitate toward this theme of voices, lost and found, in my reading as well as my own writing. Here are several of my fictional picks that embrace this theme in a variety of ways, with protagonists ranging from 14 to 40. All are debut novels by women. In the last years of the 19th century, an Amish family leaves their close-knit Lancaster, PA community, breaking the rules of their Order, to find new land in the opening American West. Pregnant Ruth, Aaron’s wife and mother of four young children, is the center of this beautifully told story. The difficult journey forces her to interact with others not of their faith with an intimacy that their religion forbids. After unspeakable tragedy strikes, Ruth, already a strong person, will need to find new sources of strength and make decisions for herself and her family in ways she could never have imagined. I was initially drawn to this story because I lived my early years in Lancaster, where the Amish maintain their customs, but it was Moore’s poetic language, finely drawn characters and moving plot that held me captive. This brave young adult novel introduces us to Peyton Honeycutt, a boy trapped in a girl’s body. It was published before the national conversation about transgender individuals took hold. The story begins in the eighth grade as Peyton, still Katherine, begins menstruating for the first time, meets the confident Tara, the new girl in school, and exchanges clothes with her. It ends when Peyton is 18. The two become fast friends, pursuing shared interests. While Peyton deals with bullies at school and disapproving parents in a world that accepts only gender conformity, he assumes more of the identity he is feeling without understanding those feelings. He will need to learn to embrace who he is to be whole. At its heart, this is a love story between Peyton and Tara, a love story that both feels familiar in its teen angst and yet different. Wood paints Peyton in a sympathetic but believable manner that allows us to root for him to discover the man he will become. Thirty-year-old Ava, a multi-racial/ethnic American, has been living in Greece for the past year with her husband, Greg, after a lifetime in Ithaca, NY. When Greg suddenly leaves her, Ava, who has already experienced abandonment by her father when she was young, is heartbroken. Despite the challenging economy, new customs and language, and the occasional violent demonstration in town, she enjoys her life in Greece, and her fun-loving and loyal Greek friends encourage her to stay. She finds a job as a nanny and even has some flirtations with Greek men, including the older and wealthy, Stefano Danos. When she is called back to Ithaca to help her needy mother recover from an accident, she has an opportunity to confront her past and determine where she feels most at home. Although there are some tense moments, this book is a light read, filled with references to Greek customs and lifestyles, the nightlife, the food, and the sunny Mediterranean, tempting the reader to its shores. Jane, a college-educated Korean-American orphan, lives an unsatisfying life working under strict traditions of obligation and hierarchy in her uncle’s grocery store in Queens. Her initial escape is to Brooklyn to serve as an au pair for a professional white couple with a Chinese daughter. After becoming involved in an affair with the husband, Jane must deal with a family death in Korea and fly off to a country whose culture is unfamiliar despite her Korean roots. With her new knowledge and experiences, she will have to figure out who she is and what she wants. This delightful and often humorous novel is also a modern-day retelling of Jane Eyre with a cross-cultural twist. I couldn’t resist choosing this new dystopian thriller for my list because it is literally about women losing their voices. Set in a not-too-distant time in the USA when a government controlled by religious fundamentalists takes over, women are allowed an allotment of only 100 words a day of speech, after which they are punished with increasingly stronger electric shocks from their word-counting “bracelets.” The novel follows Jean, a 40-year-old wife and mother of four children, who is called back to work (women aren’t allowed to work), theoretically to find a cure for a linguistic disease called “Wernicke’s aphasia.” But, of course, she is entangled in a much more insidious plot and must decide whether and how to use what little restored power she has to help the resistance. The premise of this book unsettled me, but the frequent plot twists kept me engaged as I awaited a way out of this unthinkable world. Pick up Belle Brett’s debut novel, Gina in the Floating World now! Belle Brett is a proud graduate of Grub Street’s Novel Incubator program. As a child, she produced what would now be called graphic novels, but alas, only the drawings remain as the words were strictly in the oral tradition. Now, several degrees and careers later (teacher, career counselor, researcher), she writes mostly novel-length fiction (no pictures, but with a cinematic flavor) about coming of age across the lifespan. She holds a Doctorate of Education in Human Development and Psychology. Her debut novel, Gina in the Floating World, will be published by She Writes Press in September 2018. It is the tale of a young, naive Midwesterner who faces an uncertain future when, of her own volition, her job description changes from bank intern to whore in 1981 Tokyo. The story was inspired by Belle's own experiences as a bar hostess in Tokyo several decades ago.